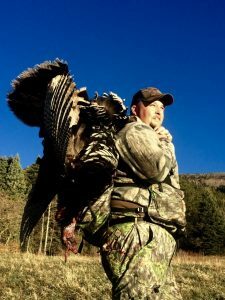 JACO Outfitters, LLC conducts guided Merriam turkey hunts in northern New Mexico in the Sangre de Cristo Mountains of north central New Mexico. There are great turkey numbers here and this is a good opportunity to add a Merriam’s to your slam. Available dates for these hunts are from April 15-May 10. Tags are available over the counter and are not subject to any draw requirements. 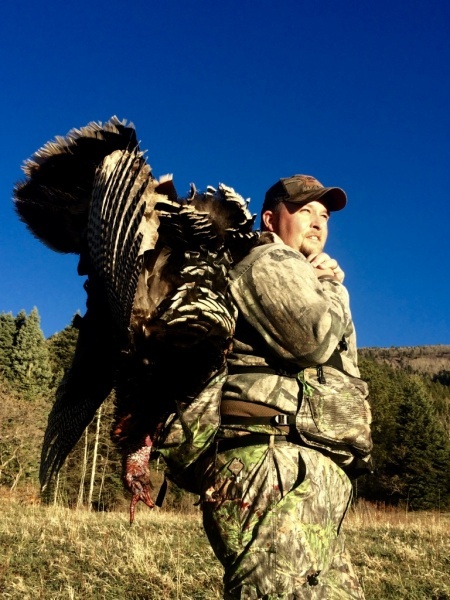 Your New Mexico Merriam’s Turkey permit will cost $175 and you may take two bearded turkeys with this tag. All hunts with JACO Outfitters are sold as harvesting 1 bird with a 2nd bird option at an additional price of $500. NEW MEXICO SEASONS are April 15-May 10. New Mexico Spring Turkey tags are over-the-counter or Internet (www.wildlife.state.nm.us). Licenses are not included in our hunt prices. 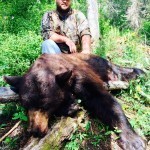 Hunters will purchase the licenses, tags and stamps at a sporting goods store on the way to camp. Starting April 1 the hunter must purchase a NM Game-Hunting License for $65, the turkey license tags for $100.00 (includes two tags), a $5 habitat stamp, a $4 land access validation and $1 vendor fee ($175.00 Total). 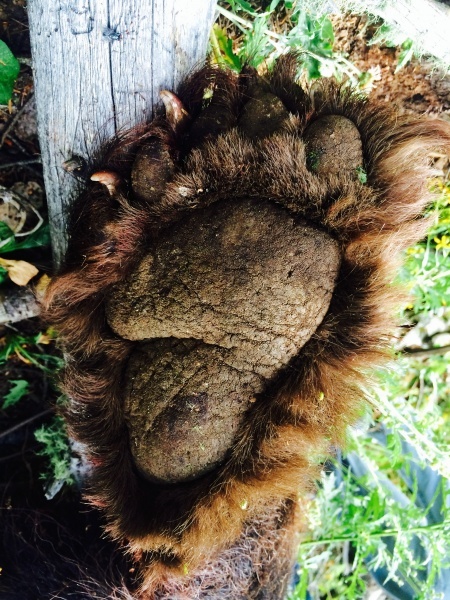 You must purchase each of these listed items if hunting in our area. Turkey hunts are very popular and fill fast. Please try to book early if you are interested in a certain date. There is a two turkey limit (bearded turkey) in New Mexico. the hunting rounds, 2×1 guide service. Additional $600 for a 1×1.These are fully-guided turkey hunts. Hunters are led into the field daily by an experienced Merriam’s turkey guide in order to provide the highest chances for success. Our guides are very familiar with the area, terrain, where the birds hang-out, and more importantly, the techniques needed to effectively hunt native mountain Merriam’s turkeys. 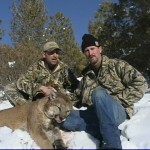 Hunters are encouraged to bring a partner because this is primarily a 2-on-1 hunt. However, there is an option of 1-on-1 guide service at a slightly higher rate if one cannot bring a partner. 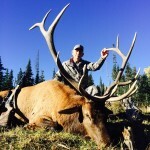 We keep camp sizes to a minimum to ensure the utmost quality of the hunting experience. There are only 2 to 4 hunters in camp per scheduled time-frame. 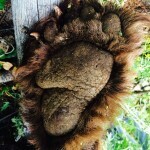 Hunters should be in good enough physical condition to hike far away from the road and into the quality turkey areas. 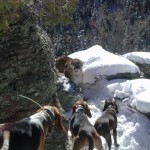 Daily hikes could be anywhere from ½ mile to 1½ miles from the end of the road, depending upon where the birds are located at the time of your hunt. 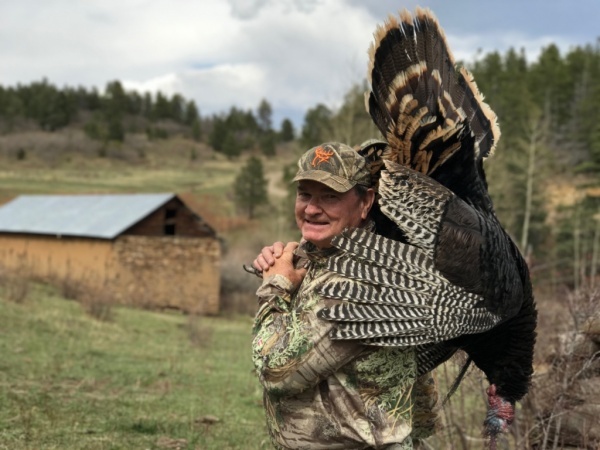 Our guides will typically call for the hunters, but experienced turkey hunters can call for themselves or join-in with calling, whichever is preferred. Like Spring turkey hunting anywhere, there are many tactics to use while hunting these mountain birds. We are most successful using aggressive turkey hunting techniques. Primarily, we walk large ridges and set-up when we strike a gobbler. We also set-up in known corridor areas and “cold call” against pine trees or in a make-shift blind to see if a weary gobbler will come to investigate. Calling birds off the roost in the early morning can often be effective. You can also request to sit a ground blind at a water hole, which is effective during a dry springtime. If you are looking for a very original turkey hunt in a wilderness-type setting where you will be hunting native birds, we have the Merriam’s hunt for you! 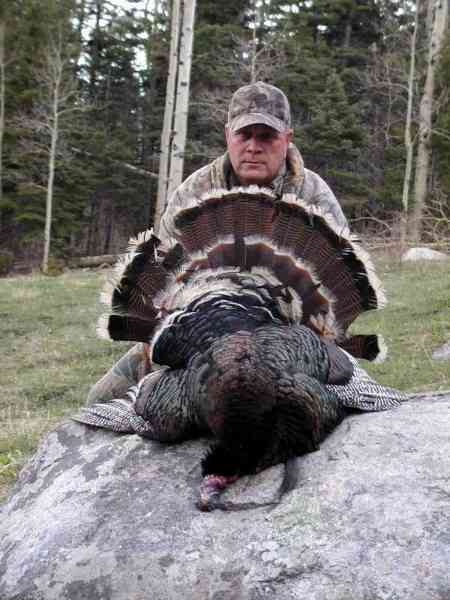 We are proud to offer quality Merriam’s turkey hunts in New Mexico. Unlike Nebraska or other transplant States, these are truly “wild turkeys.” They live in their natural habitat with no food plots, no farm fields, no feeders or other human influence. Since Merriam’s are mountain dwelling turkeys, our hunts take place in the Ponderosa Pine forests at elevations around 7500 to 9000 feet. 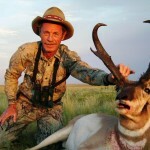 The hunt area has breathtaking scenery and great temperatures of around 60 degrees in the day and 30 degrees at night. New Mexico is home to the Merriam’s Wild Turkey. Historically, these mountain dwelling birds were only found in Arizona, New Mexico, and Colorado. Merriam’s have been transplanted from these three states to all parts of the country, but the true place to hunt them is in their indigenous area. Our New Mexico gobblers are wild and native birds. This is where they originated, so they are pure. 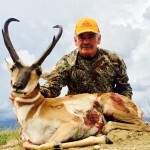 There is no hybridization in New Mexico like some other areas of the country that offer Merriam’s turkey hunting. The bright colors of the Merriam’s turkey will amaze hunters that are only familiar with the other turkey subspecies. Merriam’s have a creamy white accent on the outer edge of the tail feathers and rump, unlike the Eastern, Osceola, and Rio Grande turkeys. The primary wing feathers are mostly white with small black accent bars (the opposite is true with the wing barring on the other 3 sub-species). Mature Tom Merriam’s Turkeys grow beards averaging 8 inches, although we have taken some over 11 inches. Since the terrain is rough and rocky, the spurs are typically worn or rounded. They usually do not exceed 1¼ inches. Three-quarter to one-inch worn spurs are the norm on mature 2 to 4 year old mountain Merriam’s. The size of our wild turkeys is big, averaging over 18-22 lbs. Typically, the mature Toms we harvest will weigh approximately 22 pounds! Another interesting feature, the Merriam’s tail fan is larger than the other three U.S. wild turkey subspecies in the Grand Slam. These are just a few common features among “true” Merriam’s. If you want a real Merriam’s turkey with no hybridization that shows pure traits, come hunt with us in their native habitat of New Mexico. This is arguably the most beautiful sub-species of the Turkey Grand Slam and every Grand Slam hunter should add a “PURE” New Mexico Merriam’s to his or her collection! © 2019 JACO Outfitters LLC .